News Archives - Kissimmee Attorney - Overstreet, Miles, Cumbie & Finkenbinder, P.A. Overstreet, Miles, Cumbie & Finkenbinder, P.A., is pleased to welcome Attorney Michelle Rivera to our practice. Michelle brings with her a wealth of experience and knowledge in the areas of construction law and commercial litigation, as well as more than 7 years of experience in dealing with real estate, corporate documentation, licensing, trust amendments and related areas of law. Michelle is a lifelong resident of Osceola County having graduated from Gateway High School shortly after it was built. She earned her Juris Doctor degree from Florida A&M University, College of Law, and holds a Bachelor of Arts in Legal Studies from the University of Central Florida where she graduated with honors. 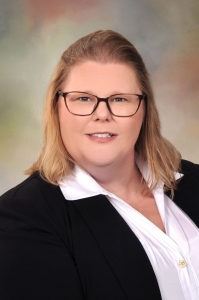 In addition to her legal training and experience, Michelle has worked in acquisitions for a real estate developer and for the University of Central Florida. On a personal note, Michelle is an avid dog lover, presently serves on the Parent Involvement Committee for her child’s school and is active in her church community. Please join us in welcoming Attorney Michelle Rivera to Overstreet, Miles, Cumbie & Finkenbinder, P.A. She will be a great addition to our team as we continue to serve the needs of our local Kissimmee, St. Cloud, Poinciana, Celebration and Hunters Creek communities. November 2, 2018 /by Overstreet, Miles, Cumbie & Finkenbinder, P.A.